Often when I am faced with a new project, and there is a productivity / on time delivery issue the topic of 'role drift' comes up. 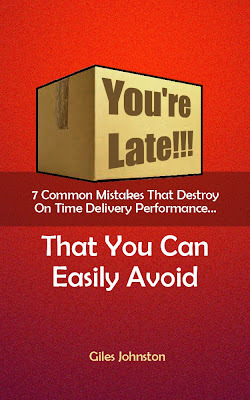 As I hinted in the title of this blog post when the various roles within a business are focused appropriately on producing specific 'deliverables' productivity usually follows. When you get a blurring of these lines of responsibility, and don't have clarity over what each role is meant to deliver then you run the risk of lowering productivity, lowering performance and suffering from confusion. Do you have this problem in your business? Ensure that each team member has a clear job description / role. Use a short process driven daily meeting to increase accountability, such as a Sunrise Meeting. Align your process Key Performance Indicators so that meaningful metrics are available for each person in your team. Let them manage their own performance in a clear and controlled manner. Review the levels of communications within the team; low communication levels don't often help when a team is trying to deliver products and services in a pressured situation. Consider what level of formal reporting is needed to ensure the business is running the way that it should. Try to avoid people becoming 'islands'! Use the above to help your team focus on their own deliverables and manage accordingly. It can take time to change these kinds of behaviours if everyone is used to 'mucking in', but there is always a route to improve if you want to look for it. If you want some more ideas, to further help you with this type of problem, then download a copy of my free guide 'You're Late!!!'. You can find out more here.